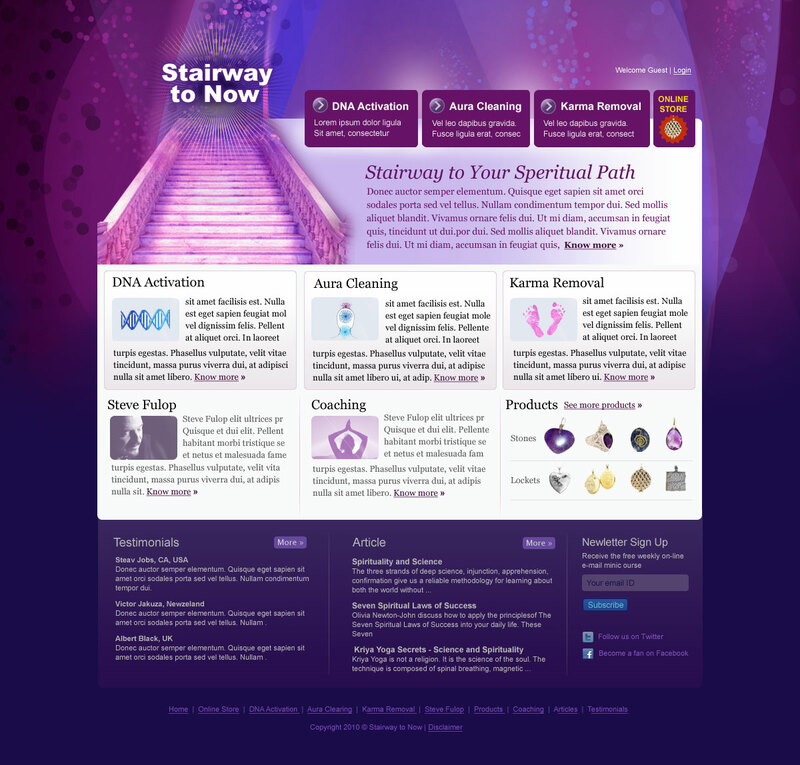 Stairway To Now provides spiritual and personal development services, products, and coaching. The focus is removing individuals’ inner blockages to living the life of their dreams. The name Stairway to Now is indicative of the path of ascension into the perfect present reality. 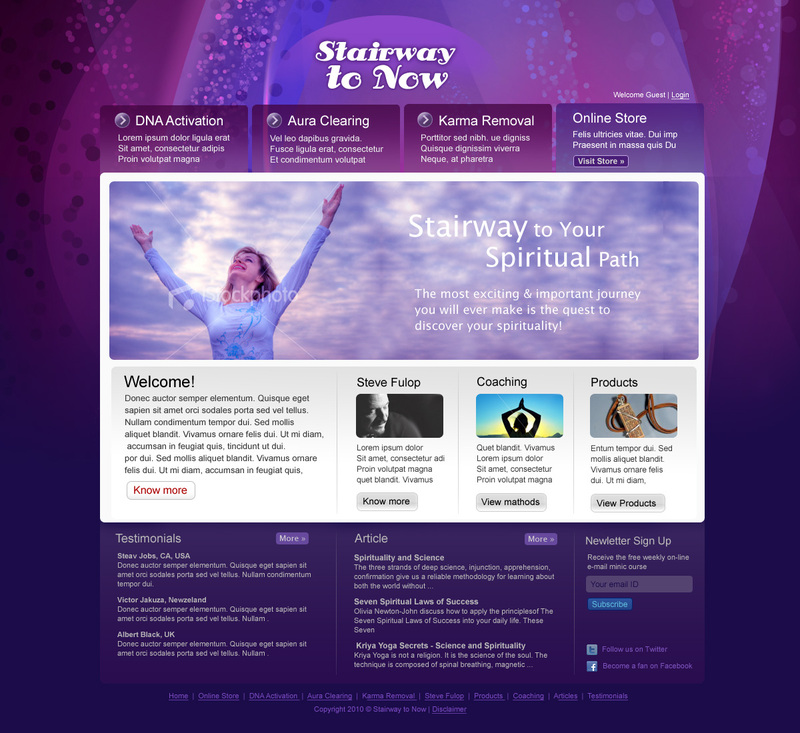 The main aim is for the site to convey that it is their stairway to a better life in the eternal now. Services/coaching/products enrich the lives of my clients and hyper-accelerates their path of spiritual ascension. The site empower individuals to live their lives by design from a state of joy and want this to come across through the design. this is a 99designs.com submission.